It is, in fact, one of the most popular Rakhi gift item. 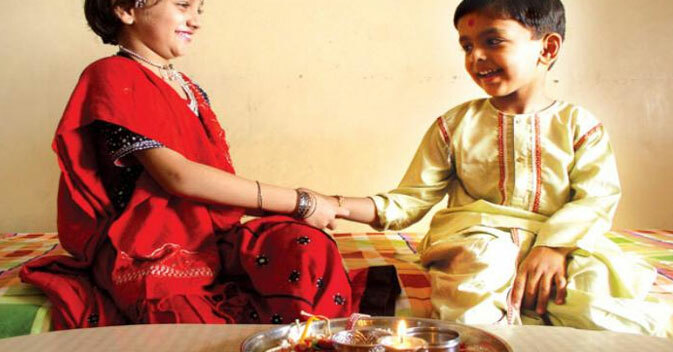 So, if you are also worried and searching hysterically a Rakhi gift for your sibling, then you can opt for clothes, apparels, dress materials and other accessories. You can purchase designer apparels for your sibling. If you are a sister and searching clothing and dresses for your brother, then you can give business and casual clothings. You can also purchase sport shirts, knits and t-shirts, woolen wear like sweaters, pants, dress trousers, casual trousers, shorts, sport coats and Blazers, suits and formalwear for your brother as clothing and dresses for brothers. If your budget doesn't permits, you can avoid certain dresses like suits. printed cotton suit pottery themed silk suit, chiffon spaghetti, handloom cotton suit piece, pre stitched crepe kurta with matching salwar and dupatta. Sisters would love saris too. Kanjeevaram, georgette, Rasham silk sari, chikan sari are some of the popular saris items. While selecting western wear, you can choose 'Be nice Sister Always' t-shirt, 'Little Loving Sis' top, 'I Love My sister' T-shirt, ladies pants and Levis jeans. Skirts, capris, single duppattas and colored scarves can also be presented with love. Indeed, selection of clothing and dresses entirely depends upon the interests of your sibling. So, before purchasing any gift item, make sure that would definitely be appealing to your brother or sister. So, be very careful while making selections. sendrakhi.com offers you interesting insight into clothing and dresses as Rakhi gifts. for further information, keep browsing the pages of the website.